CAN offers high quality school furniture. We understand the needs of the schools, so you can find everything you need! 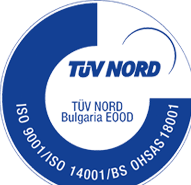 The furniture that we offer are designed to meet standards for safety and sustainability. They are specially designed for early childhood. Here you will find everything you need in order to work effectively. From desks and chairs to document storage solutions. CAN offers you a variety of furniture for your home, hotel or hostel with guaranteed quality and durability! Here you can find a wide range of durable, comfortable and practical upholstered furniture that will meet even the highest expectations. We offer you a great selection of sports facilities, made from high quality and durable materials. Make the most of the space in your garden or yard with the variety of facilities that we offer you. 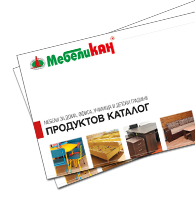 Browse online our brochures and catalogs for various furniture series and furnishing. Meet all the achievements, honors and awards of the company over the years. Certificates of quality and success. Kukorevo, Yambol, 52 Graf Ignatiev Str. You will receive information on the new offers from Furniture Kan, upcoming promotions, current catalogs and brochures.